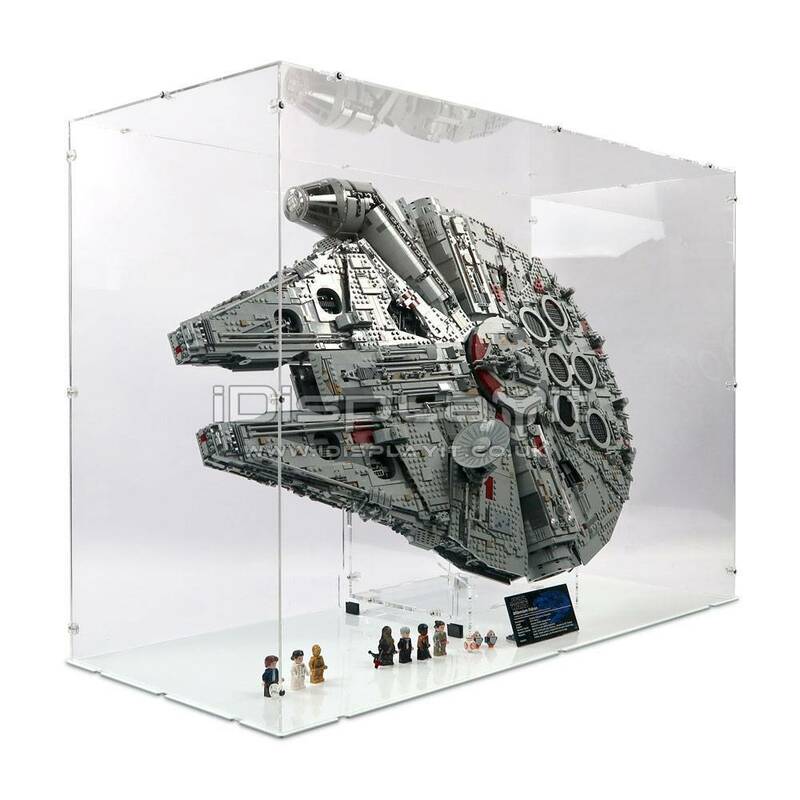 This very large acrylic display case is designed for Lego 75192 UCS Millennium Falcon using our own acrylic display stand (sold separately) or the MOC Efferman's vertical stand (not included). 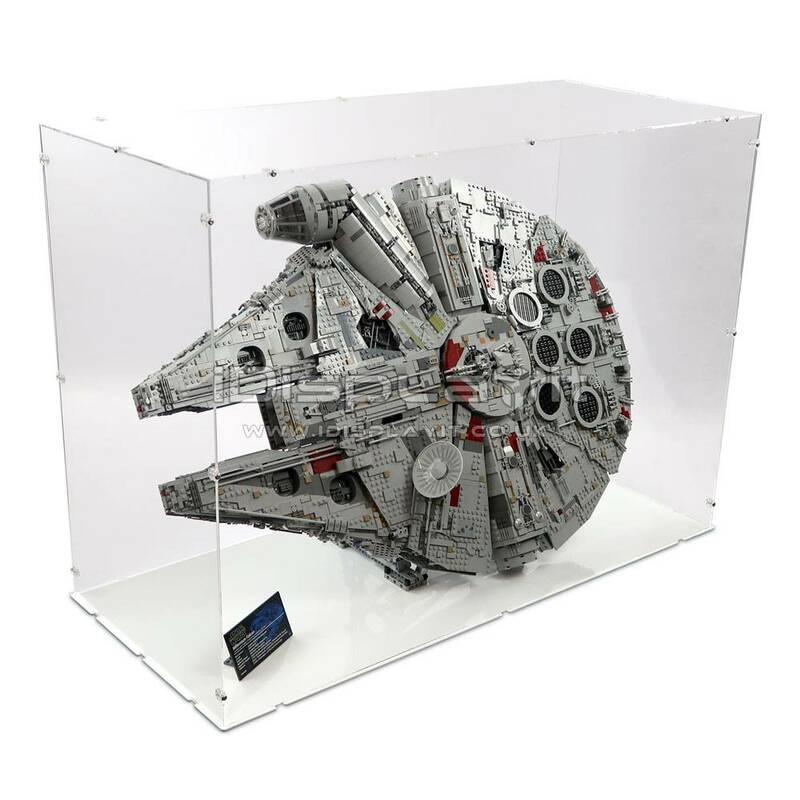 This very large acrylic display case is designed for Lego® 75192 UCS Millennium Falcon using our 2in1 acrylic display stand in vertical position (sold separately) or the MOC Efferman's vertical stand (not included). 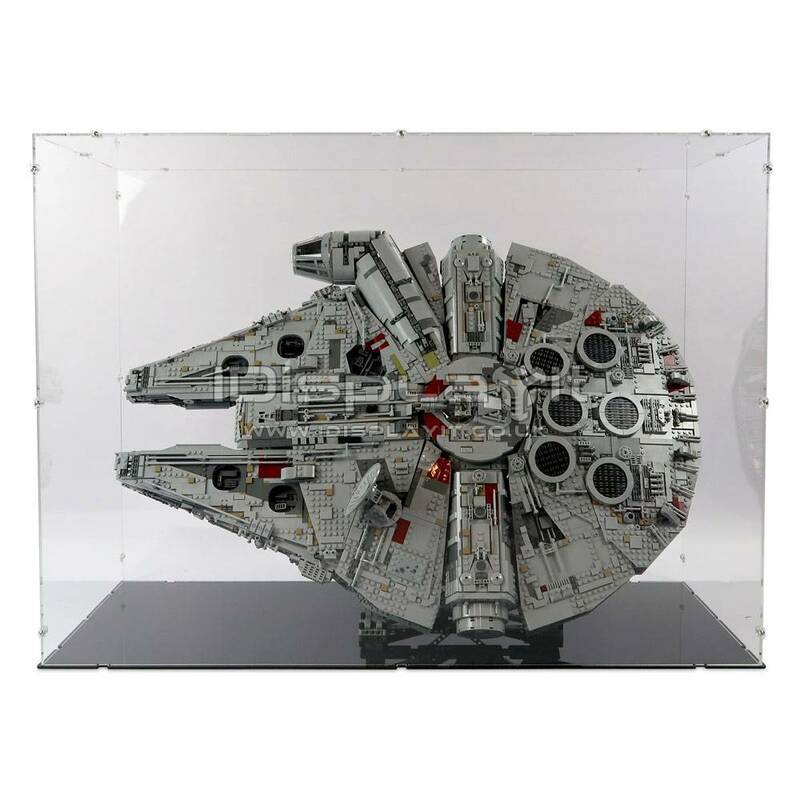 This is a large flat-packed display case, made from 3mm thick clear acrylic. It requires assembly by screwing together the front, back acrylic panels with the sides and top, using 20 screws provided. The top is secured to the rest of the case, which rests on the base. The base requires a flat surface to rest upon. Acrylic display stand available to purchase separately. The delivery was on time. The outside Box was a bit damaged but the case and display stand where packed really well. Getting the MF on the stand was a little bit tricky. All together it looks really amazing. Love the display, the dilvery was fast and on time. Box was a little damaged, but it was packed really well inside so no damage received to the actual product. Will definately recommend you guys! Cheers from Denmark, this is very well made! I received the case in a little under three weeks from ordering, which is good considering it was shipped to Finland. Though I had my doubts about our local courier service, the case and the stand arrived in prime condition thanks to good packaging, including generous amounts of bubble wrap. Though I didn't find the instructions first, assembling the case was a very logical process and the case is reasonably sturdy. Getting the Falcon on the stand alone was tricky, but the instructions did recommend two people for the job. Most importantly, I can now show off the exquisite UCS Millennium Falcon in my shelf thanks to this case and the stand, since I have a small apartment and couldn't put it on display anywhere else. Many thanks to iDisplayit for this great product! 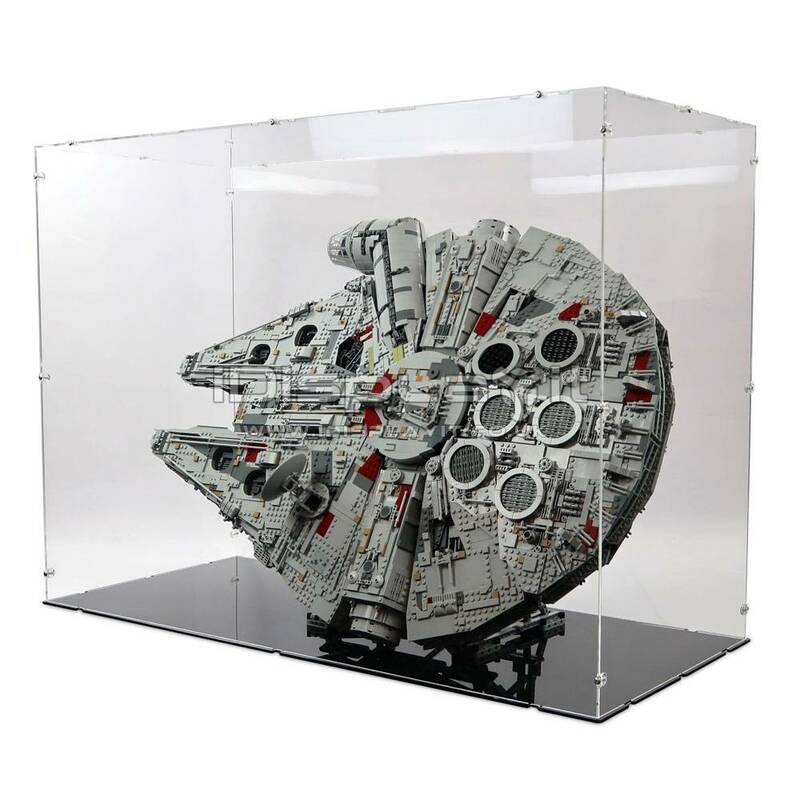 Lovely case to exhibit my millennium falcon, had been looking for one to be able to stand the falcon almost upright. Well packaged so no damage to plastics. The case and stand are good quality plastic. Just about to purchase a case for the Lego Saturn v rocket. Very pleased with the case. Fast shipping, very good packaging, arrived undamaged, even all the way to the Netherlands. I handn't noticed it didn't come with the stand, so I needed to order that separate. Even for the size this was very easy to put together, even just by one person. 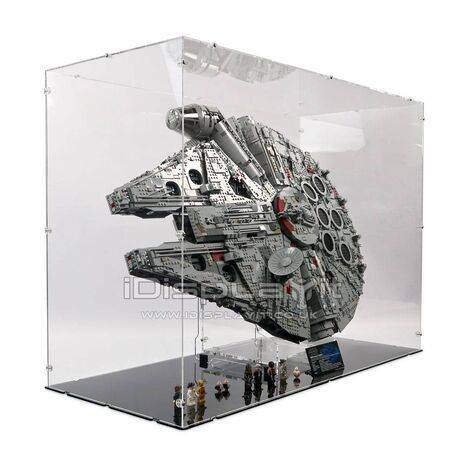 It is MASSIVE though, but it needs to hold a massive set, so it makes sense. You are going to sell it ???? When?